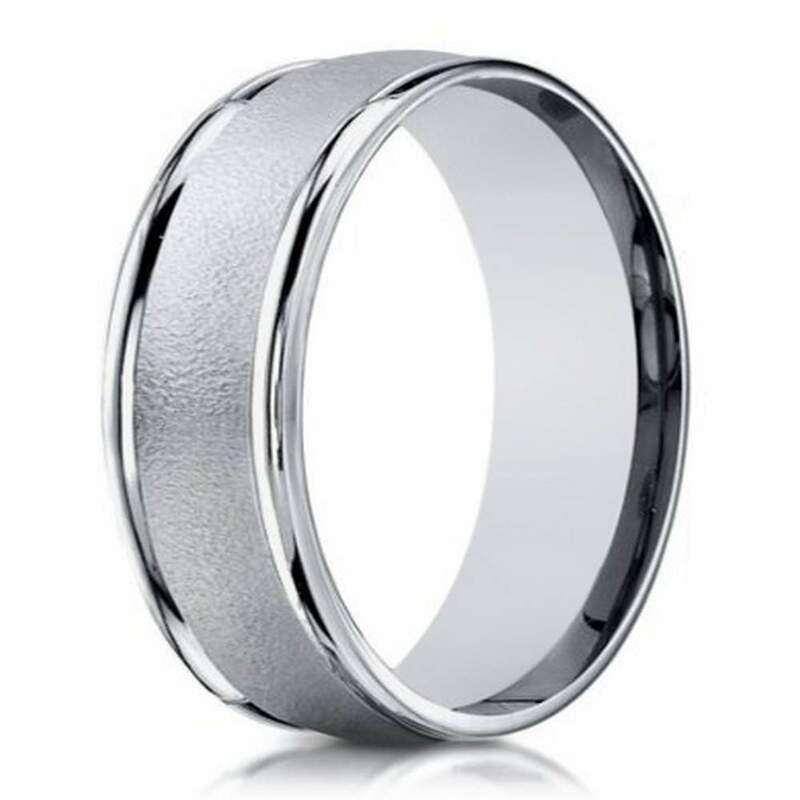 A rough finish center is a striking addition to this designer white gold band for men. Made of rugged 10K white gold, this 6mm comfort fit ring has a sandblasted center strip offset by gleaming polished edges. This men's white gold band offers a unique yet understated appeal. Comfort fit rings usually measure 1/2 size smaller due to the additional metal inside the ring. We recommend having your finger measured for a comfort fit ring at your local jewelry store. Very nice ring. Good fit. loved the ring. we had purchased 2 to compare the rings, but we liked this one better because of the sandblasted part helping make scratches invisible. i also registered this ring for lifetime warranty and it was very easy.